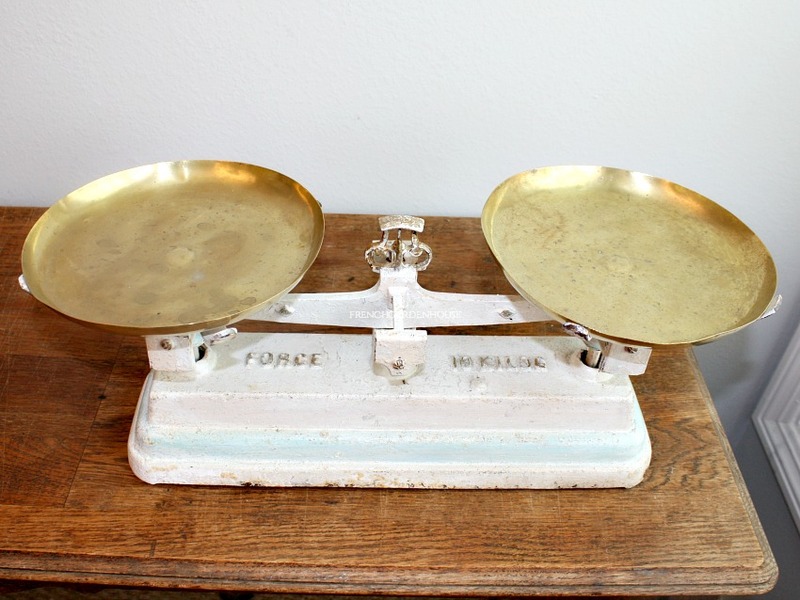 Wonderful and decorative 19th century French Bakery Balance Scale, used to weigh dough so that each loaf or baguette would be relatively uniform in size. 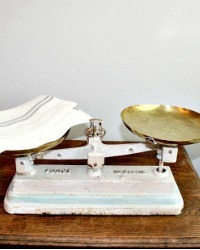 This cream scale has soft light aqua blue painted detailing, and remnants of gilt paint. 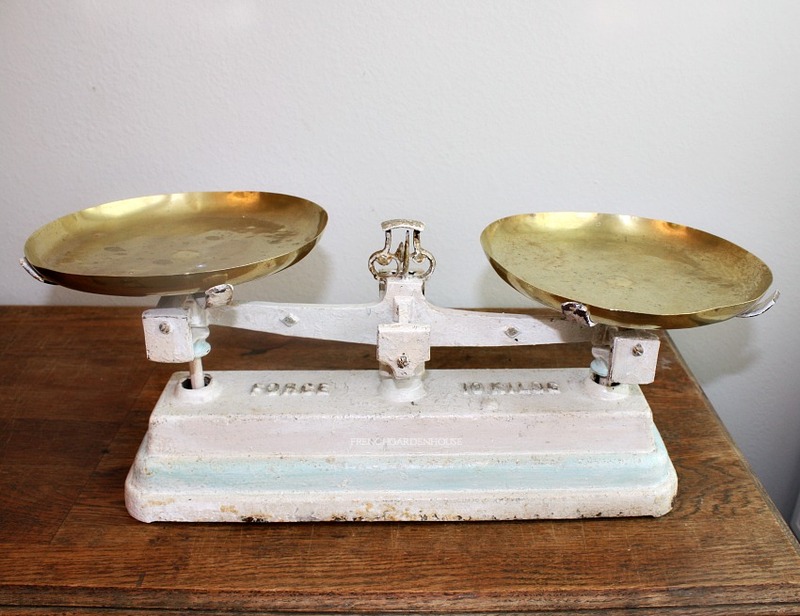 It is a 10 kilo scale made of cast iron. Original, found in the south of France. 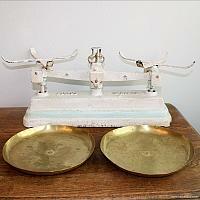 This scale was used in the late 1800's, early 1900's. The scale has great patina and wear to the paint, it is made of heavy cast iron, and has the two original shiny brass weighing trays or plateau with patina as shown. 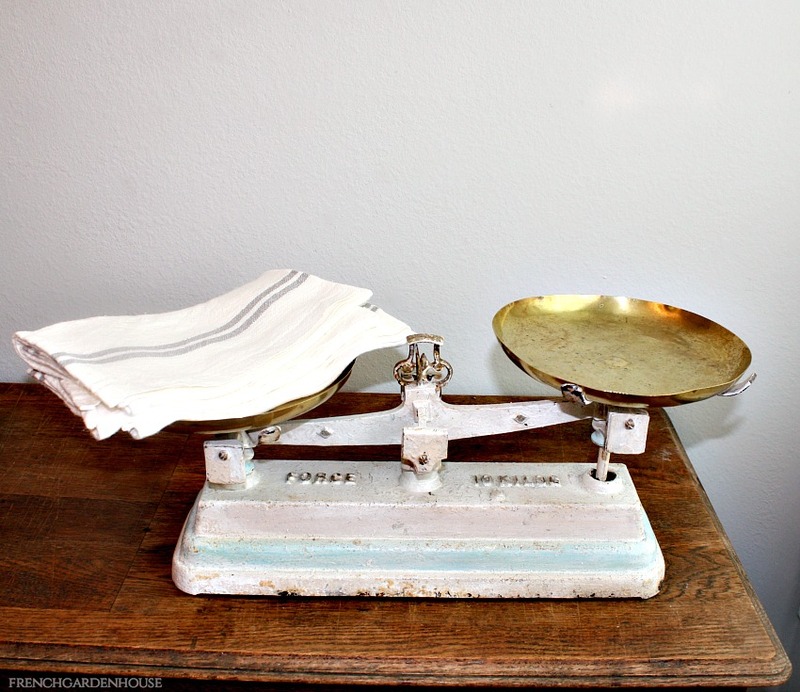 Display in your cuisine, with your other kitchen antiques, in any French Country setting, or just to add a French antique to a contemporary home for personal style. A fantastic addition to your collection. 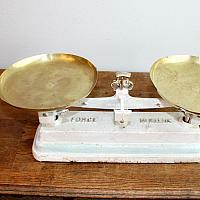 Marked FORCE 10 KILO on the top. 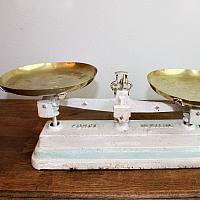 Measures 19" x 8" x 8-1/2"h.